Sponsor(s): WFLS, 10333 Southpoint Landing Blvd, Suite 215, Fredericksburg VA 22407. (collectively, “Sponsor”). 1.Promotional Period: Online Enter to win NOW Country 12 CD contest (the “Promotion”) begins on or around April 15th, at 5AM and ends at 5PM ET on or about April 21st, 2019 (the “Promotional Period”). 2.Entry Deadline: The deadline to submit entries is April 21st, 2019 at 5pmET. 3.Eligibility Restrictions: The Promotion is open to all legal residents of the United States and the District of Columbia (except NY and FL) who 18 years of age or older at the time of entry and who live in Fredericksburg, Spotsylvania, Stafford, King George, Culpeper, Orange, Prince William, Louisa, Hanover, Madison, Rappahannock, Fauquier, Fairfax, Henrico, King William, King and Queen, Westmoreland, Charles, Prince George’s, Richmond, Calvert, Anne Arundel, Montgomery, Loudoun, Fluvanna, Powhatan, Goochland, Chesterfield, New Kent, Charles City, Middlesex, St. Mary’s in Virginia, DC and Maryland. 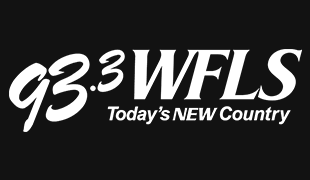 Employees of WFLS, WVBX, WFLS & WNTX (the “Station”), its parent, subsidiary, and affiliated entities, its advertising agencies, participating sponsors/promotional partners, other broadcast stations in the Station’s listening area, and the members of their immediate families (spouse, parents, siblings or children) or households (whether related or not) are ineligible to participate or win. This Promotion is subject to all applicable federal, state, and local laws and regulations. Void outside the United States, in NY and FL, as applicable, and where prohibited. VIA INTERNET – Go to http://wwwwfls.com/contests and follow the links and instructions to enter and submit the required information, which may include your first and last name, address, telephone number, date of birth, and a valid email address, in the online entry form. Internet entries will be deemed made by the authorized account holder of the email address submitted at the time of entry. The authorized account holder is the natural person who is assigned to the email address by an internet access provider, online service provider or other organization that is responsible for assigning the email address or the domain associated with the submitted email address. Multiple entrants are not permitted to share the same email address. Entries submitted will not be acknowledged or returned. Use of any device to automate entry is prohibited. Proof of submission of an entry shall not be deemed proof of receipt by Station. The contest/sweepstakes administrator’s computer is the official timekeeping device for the Promotion. Five (5) winner will be randomly selected from eligible entries and notified on Monday April 22nd by 2pmET via email address provided on entry form submission. 9.Official Rules and Winner List: To obtain a copy of the General Contest Rules, these contest-specific rules, or a list of winner(s) following completion of the Promotion, send a self-addressed, stamped envelope (VT residents may omit return postage) specifying “General Contest Rules,” “Contest-Specific Rules,” or “Winner List” to NOW Country 12 CD Contest Winner List or Official Rules Request, 93.3 WFLS, Promotions Dept, 10333 Southpoint Landing Blvd, Suite 215, Fredericksburg VA 22407. A copy of the General Contest Rules, contest-specific rules, and a list of winner(s) (when complete) are also available during regular business hours at the main studio of 93.3 WFLS, 10333 Southpoint Landing Blvd, Suite 215, Fredericksburg VA 22407. All such requests must be received within thirty (30) days following completion of the Promotion.